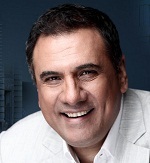 Boman Irani was born into an Irani family on 2nd December 1959 in Mumbai, Maharashtra state. 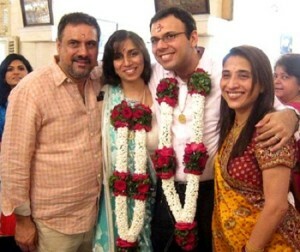 He attended St. Mary’s School and Mithibai College, in Mumbai. After completion of his polytechnic diploma course he started his career as a waiter in Taj Mahal Palace & Tower in Mumbai. Subsequently he worked for his ancestral bakery shop near Apsara Cinema in South Mumbai. He later took photography as career and worked as a photographer until his film career took break. He started his acting career as an artist in theatre works and in 2000 he moved to films. His film debut was in 2001 with Everybody Says I’m Fine! co-starring Rehaan Engineer, Rahul Bose, Koel Purie and Pooja Bhatt. His biggest turning point in career was in 2003 through Munna Bhai M.B.B.S. co-starring Sanjay Dutt, Gracy Singh, Arshad Warsi, Sunil Dutt and Jimmy Shergill. 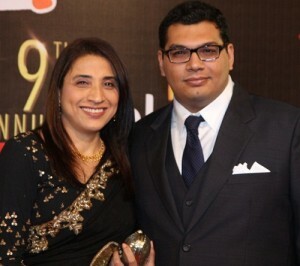 He subsequently appeared in numerous commercial successful films like Main Hoon Na co-starring Shah Rukh Khan, Sushmita Sen, Sunil Shetty, Zayed Khan and Amrita Rao, Veer-Zaara co-starring Shah Rukh Khan, Preity Zinta, Manoj Bajpayee and Rani Mukerji, No Entry co-starring Anil Kapoor, Salman Khan, Bipasha Basu, Fardeen Khan, Lara Dutta, Celina Jaitley and Esha Deol, Lage Raho Munna Bhai was also a blockbuster hit and earned nomination for Filmfare Best Villain Award, among other films. 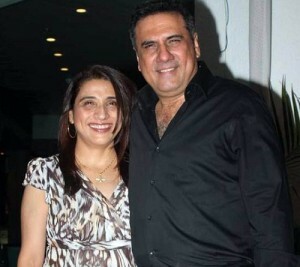 Boman Irani is married to Zenobia and the couple have two sons named Danesh, who is married to Reah Cama and Kayoze Irani. His second son Kayoze Irani is also an actor and made his film debut with blockbuster hit Student Of The Year.